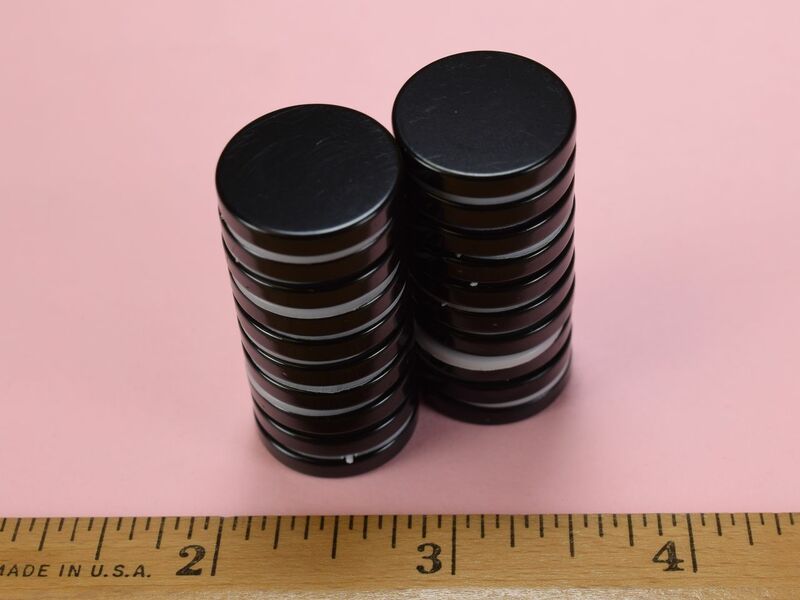 These epoxy coated disc magnets are like the DC2E magnets, but with imperfections that have relegated them to the surplus category. 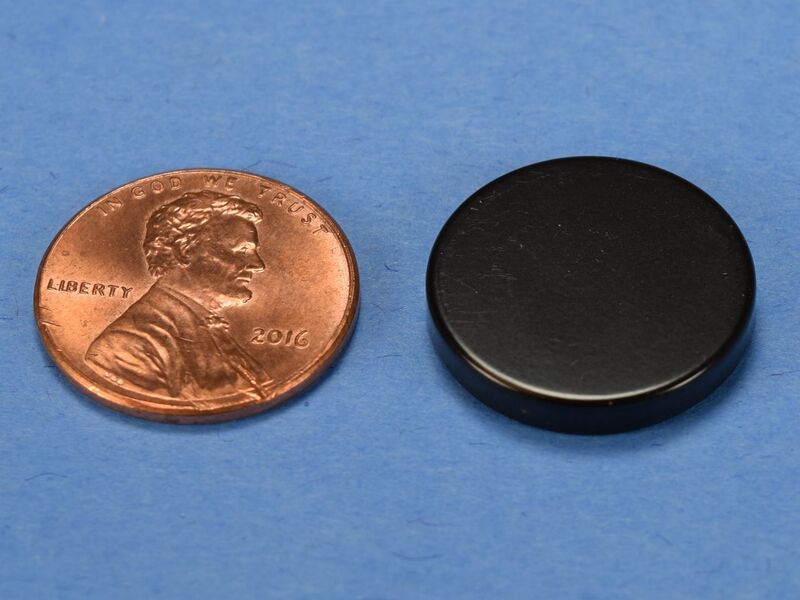 Most of these magnets have a small dot, top and bottom, where the epoxy coating is missing. This size is also available in grade N52 with our standard Nickel plating as part number DC2-N52 and in grade N42 with our standard Nickel plating as part number DC2.